Join Indian Army: This article for only those Lovers who need to serve in Indian Army as a Solider, As a clerk, As an officer and as a Doctor. During this article we’ll talk about how to join Indian army after 10th, how to join Indian army after 12th, and how to join Indian army after Graduation. 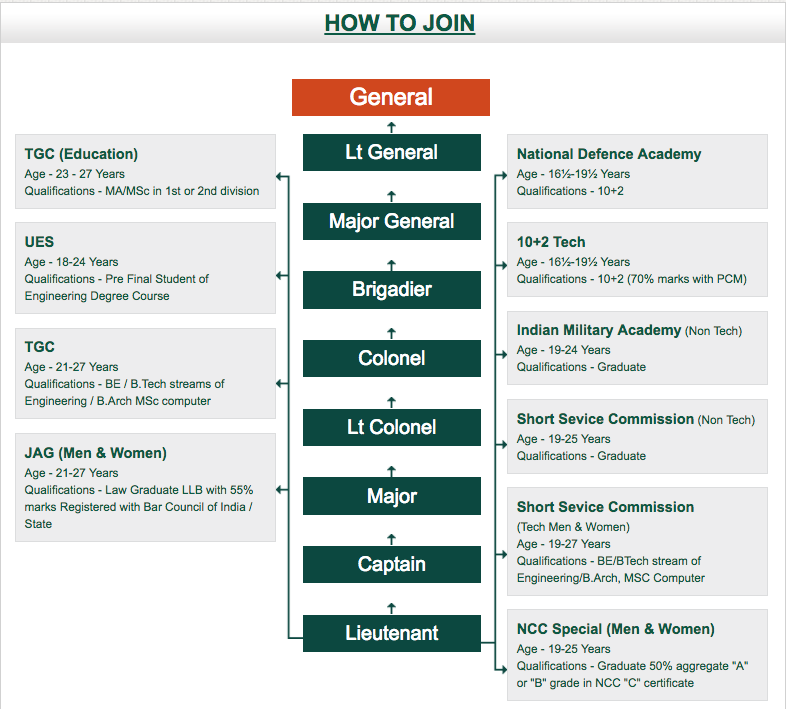 As you have got known currently, that there are 3 ways to join Indian army. If you wish to be a part of as an official then you’ll join after 12th and graduation, but not after class tenth. Our youth dreamed of that military uniform and those stars. However they need no clue concerning the selection method and eligibility criteria. Weather, we’ve got written an article for Indian army eligibility criteria however it doesn’t contain all the details and detailed data concerning how to join Indian army after tenth, twelth and Graduation. See, solely these 3 ways of joining Indian army are out there. We’ll discuss concerning each one and will concentrate on how to be a part of Indian army after 10th, 12th and after graduation. One basic question that always strikes each candidate’s mind is, what’s the maximum and minimum age limit for joining Indian army? can this issue of recruitment method affect you. And if you wish to join Indian army after graduation, then will you eligible for Indian army according to your age. Most of us pass our intermediate by eighteen years older, and so select graduation courses, however as age limit for GD is simply seventeen years six months to twenty one years old. And you may complete your twenty one years of age until the time you complete your graduation, then however will it’ll be possible to join Indian army as a GD soldier. To understand every point and clear each doubt you’ll read the post below. Before knowing how to join Indian army after tenth you ought to understand. What can you become in Indian army after tenth pass? means what are the posts for tenth pass candidates. You’ll become GD Soldier, Cook, Driver, these are basic if you have category tenth certificate and you wish to become technical soldier, SKT/clerk then you can’t become. There are straightforward and equal Steps to join Indian army for class tenth, class 12th and graduate. However main issue is what are you able to become after tenth pass with 40% combination. We are giving additional details during this article however somehow it doesn’t suits on each one so you’ll ask your question in our query box below. If you have got more then 40% then you will become an soldier in Indian army or can apply for tradesman post while not obtaining40% aggregate. You simply need to pass tenth to apply for tradesman. To become a soldier you’ll apply after twelth if you have done your class 12th. However there are additional choices for you now compare to class10th pass. After class 12th you’ll apply for Soldier GD, SKT/Clerk, And Soldier Technical. Currently, you have 2 additional choices however these are just for that candidate who have completed their category 12th with Science stream. Candidates who are planning to apply for soldier technical should have maths in class 12th. And Soldier Clerk conjointly must have maths and english in class 12th of class 10th. Eligibility criteria expend for higher posts. These aren’t higher posts however you have good work field in Indian army like a clerk and technical job. Despite the pass class 12th with arts or commerce without maths can’t become you, technical soldier. Thus you need to have maths and English for Soldier Technical and SKT/Clerk. After graduation you’ll join Indian army, And this may offer you additional advantages. How to Join Indian army after Graduation? many candidates who have exceed age limit for GD, Clerk and Tradesman, will currently apply for Indian. Thus age limit isn’t only factor which will stop you doing such things like Joining Indian army. What are the posts for Graduate candidate? Most common question that popped up in every candidates mind and that is, what are the posts for graduation candidates or graduated candidates, what’s age limit for graduate candidates an all. So check the posts name and list that suits your perfectly. Process to Join Indian army, Is given during this section. Thus we are going to describe them into 2 separate section sections. 1st will be JCO/OR (Junior Commandant Officer/Other Ranks). And second are for Officers. Some steps that are obligatory to Join Indian army are, applying and going through the method that is set by Join Indian army. First of all, each candidate who are preparing for Indian army and need to Join Indian army they ought to have every update of recruitment. Once new recruitment of Indian army can come? This recruitment can tell you concerning new recruitment. Recruitment are discharged Zone wise for every zone and states Separately. So check Zone wise or state wise enlisting. Now Join Indian Army has changes it’s previous rule. Every candidate who wish to Join Indian Army must register 1st. So they’ll apply for Indian army. To register in Indian army, candidates need Aadhar card. Class tenth Pass certificate no. Valid email id and Mobile no. Most important factor is, every things ought to be correct in these things. When you can register in Indian army database. Then you’ll check recruitmentjust by logging in. You’ll solely be able to be part of Indian Army after applying on-line and within the given period of time. After applying on-line you would like to download admit card for open bharti rally. You’ll download admit card through your roll no. or along with your mobile no. or date of birth. On the day of Bharti rally, 1st test are high bar, and you’ll check Indian army height eligibility here. Then Second issue are going to be Race, 1.6km ought to be done with in. 5:45 min. However this depends upon the candidate running on that set. Group three to four are taken in every set and number of candidates in every set could be one hundred fifty to three hundred. 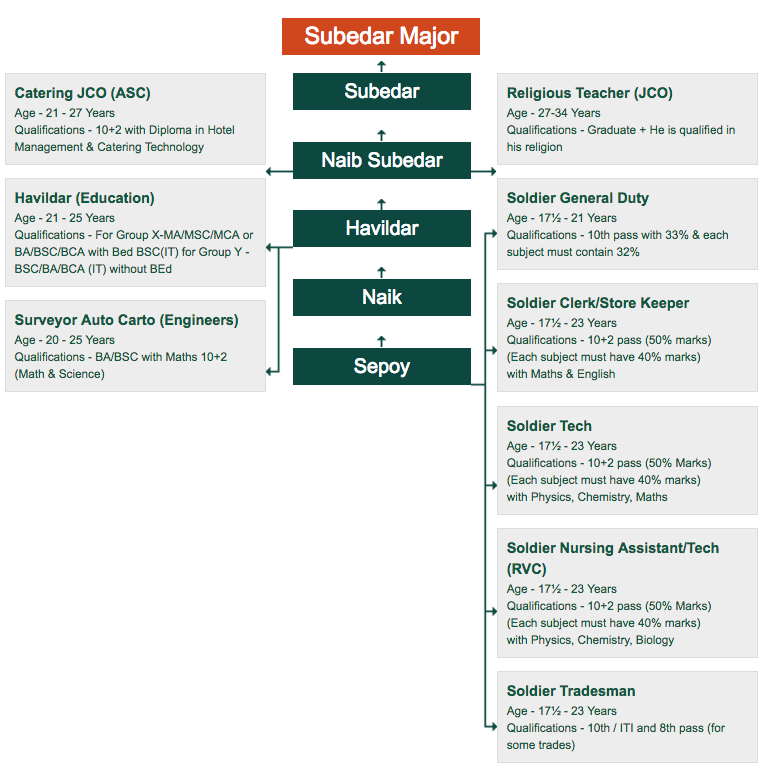 This humber shows that this can be one among the toughest part of on-line Indian army recruitment for Soldier, Clerk/SKT, Soldier technical and tradesman. After qualifying the physical eligibility test, you’d select medical test. Then Chest measuring, Push-ups and Chin ups are done. Once qualifying these rounds candidate ought to clear, Medical Test, Where hand, fingers, Teeth, feet, eyes and different body parts checked. Written Examination are control between 1 to 3 month. Admit card for written exam are given once qualifying medical test. What quite question can are available written exam? check in the given list below. Exam pattern for Indian army and exam curriculum for Indian army is currently offered during this article. Within a month of written Examination, result are declared by join Indian army. Thus you’ll check result for Indian army gd, clerk, soldier technical, and SKT/CLERK. When you have qualified in medical test and written examination then you simply ought to wait for the merit list. Final merit list is the pass for Joining Indian army. If your name mentioned in merit list, it suggests that you have got selected for Indian army. and very shortly you’ll get joining letter.